GreensleevesBanquet Greensleeves Medieval Kingdom offers the classic essentials for a superb conference - with a Difference! A total change of ambience - and light years away from the everyday. Warm friendly support with technical backup, memorable food and entertainment facilities. 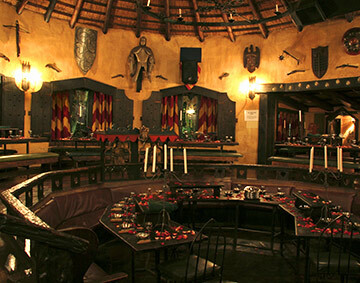 Adaptability from small to large conferences in really different rooms from: a real cove or a tree house - to a Medieval Banqueting Hall - or King Arthurs Round Table for an exclusive Executive meeting. 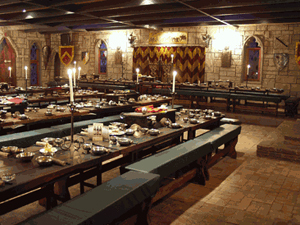 Round off your conference with a world famous Medieval Banquet or a unique party at Merlins Cove. We have many different catering options from Picnic Buffets to outdoor Spit Roasts around a bonfire or the attractive pools. 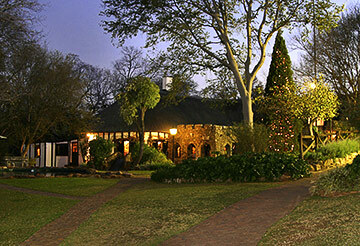 Situated within easy reach of Pretoria and Johannesburg with ample safe parking Greensleeves offers a truly different venue!